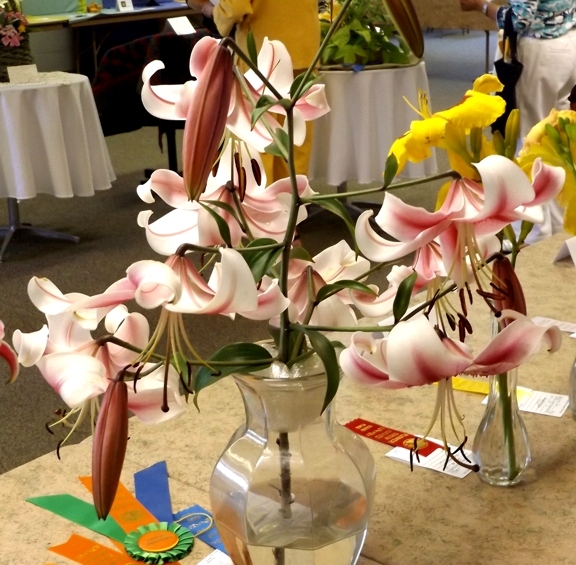 This garden club held what is called a ‘small’ flower show rather the the standard flower show. Many clubs take advantage of this type of show because it doesn’t demand the same number of entries. For example a small show needs only three design classes rather than five, or a total of 12 designs rather than 20. It is very intimidating to make a design that everyone will see and has been judged. The show “Quilting Bee” was held at a local church during the Ludington Sidewalk Sales Days. The room was full of quilts made by a local quilting group. They were awesome! I hope people walked one block over to see this excellent one-day show. 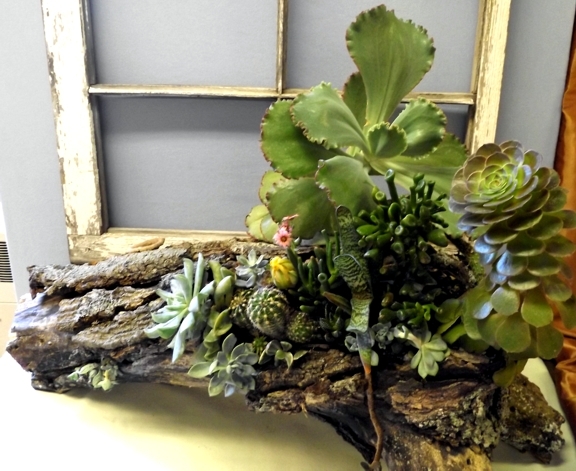 While not winning a blue ribbon, I loved the succulent garden in this piece of wood. There was a fourth design class but my photo was bad. Here, however, is another entry in the design class “Flower Basket Quilt.” It is a beautiful mass (type of design) design of summer flowers. Beautiful! The ribbon you earn doesn’t necessarily reflect on the beauty of the design. 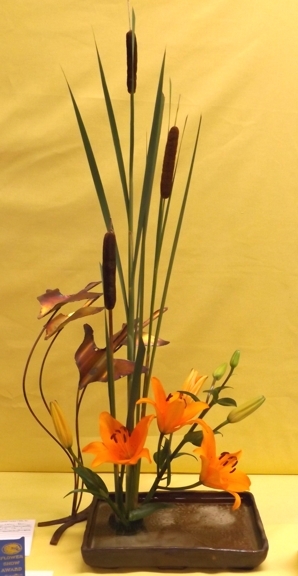 Horticulture is a show has to match what is in bloom at the time of the show. This consideration often affects the time a show is scheduled, but when clubs want to attract audiences, they often have to co-ordinate with local events in their area. 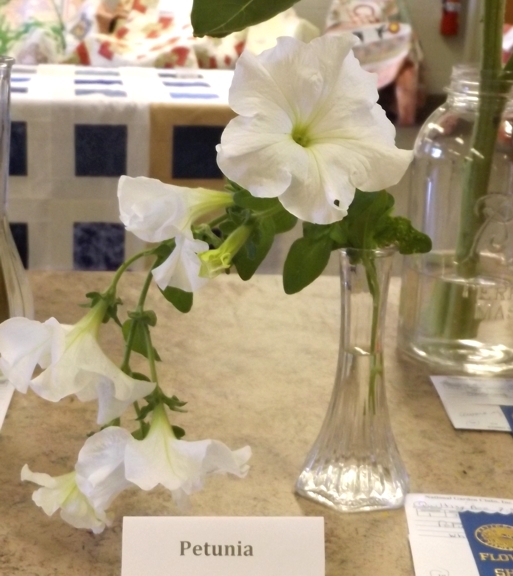 A blue ribbon winner in the Annual Flower Section. 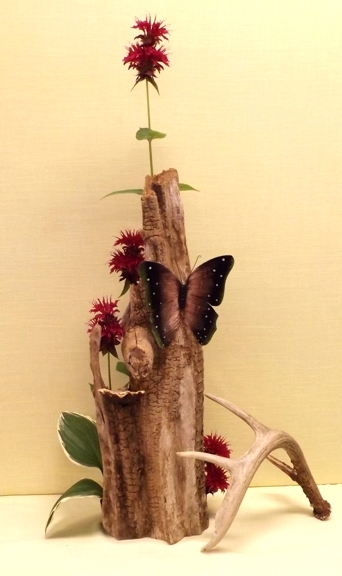 Blue ribbon and Award of Merit , which is the best blue ribbon winner in the Annual Flowers. 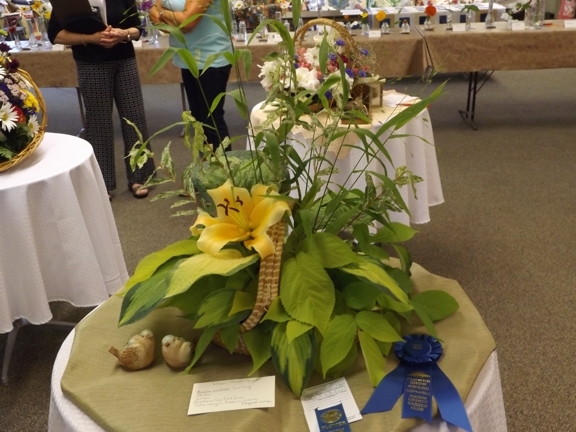 This was the Award of Merit winner in the Bulbs, Corms, Tubers and Rhizomes section, and also earned the best specimen in the show with the Award of Horticultural Excellence. This was a wonderful small show. I was pleased to have been asked to judge it. 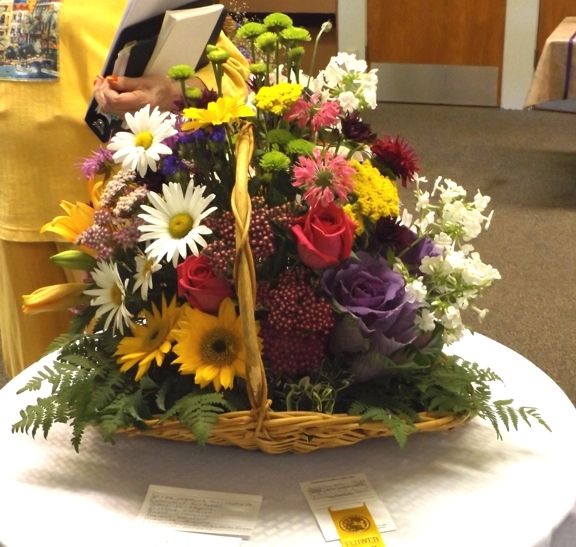 It will also be the last flower show I judge as I asked to become an Emeritus Judge (a judge who no longer judges.) 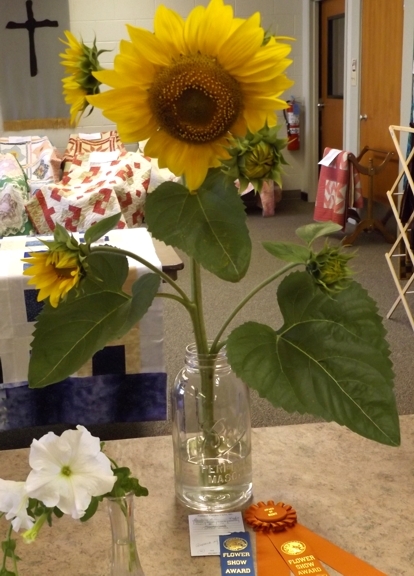 I will still participate in flower shows, in fact my garden club will be giving a show next June 4th. You’re welcome to come to Cadillac and see it. « Road Impediment — Buffalo!